Head of the so-called Libyan National Army (LNA) Khalifa Haftar said over the weekend his army was in control of almost all the entire North Africa country except some tiny swathes of land to be conquered pretty soon. “The size of Libya is 1,760,000 square km. The army is currently in control of 1,730,000 square km. There’s only a little left,” he told a gathering of LNA commanders. 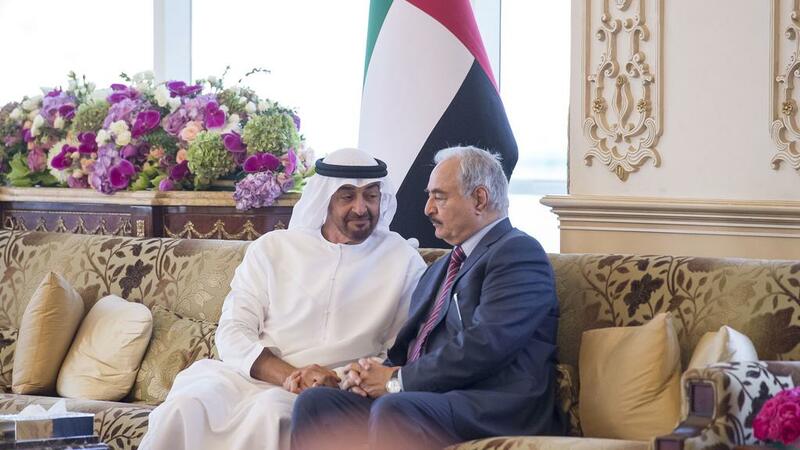 Haftar backed by foreign countries such as Egypt, United Arab Emirates (UAE), Russia and the country’s internationally recognized parliament in Tobruk has led opposition against the UN-backed Presidency Council (PC) and its associated Government of National Accord (GNA). The field marshal in the name of the fight against terrorism has been waging war on several sides in the oil-rich North African country. Earlier this year, he took control of Benghazi and its districts after three years of fighting against Islamists. Haftar who never hid his intent to rule Libya also noted that the city of Zawia, 30 km west of the capital Tripoli, would be under his control in matter of few days. If Zawia falls, Tripoli, seat of the PC and the GNA, will also answer to the former Muammar Gaddafi’s military aid. Haftar who believes that Tripoli is awash with Islamists, in December called for the liberation of the Libyan capital. The PC, which has no regular army, has been relying on alliances with militias for its protection. Haftar is said to have contacts with some Tripoli militias. Written by: KanelkaTagba on October 16, 2017. Posted by KanelkaTagba on Oct 16 2017. Filed under Headlines, World News. You can follow any responses to this entry through the RSS 2.0. Both comments and pings are currently closed.